~Please contact North Shelby Library for more information. Just in time for the Harvest Season, we are so happy to have North Shelby Library’s very own Carol Hagood, Children’s Library Assistant, Jefferson County Master Gardener, and Birmingham Botanical Garden’s 2013 Educator of the Year. 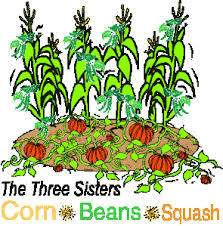 Her program will share information about Native American gardening practices, particularly The Three Sisters Garden, an early form of companion planting which is popular today. Carol will also lend her voice and talented hand to share Cherokee legends, and demonstrate traditional Native American corn husk doll making. A longtime corn husk doll collector, Carol will be sharing some of her collection with our students. Homeschoolers will go home with their own corn husk doll and have the opportunity to craft clothing for their dolls.